Dates, Weight Loss & Saturday Appointments! TBA- Weight Loss Meetings- RSVP encouraged! TBD (please call us)- Weight Loss Meetings- RSVP encouraged! 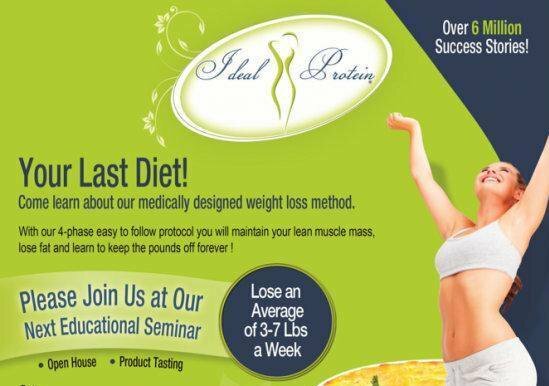 Ideal Protein Weight Management Seminars- the #1 Diet in America! If you haven't yet heard, we are seeing phenomenal successes with this weight program. Go to www.IdealProtein.com for more info. Check out our free seminars for the Ideal Protein weight management system. Those who attend receive half off initial starting fee and get to sample delicious food.